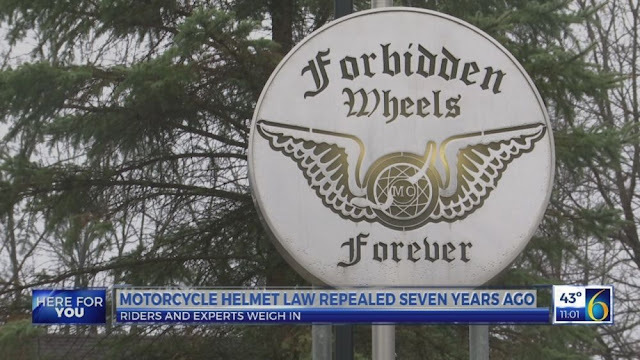 Brighton, Michigan, USA (April 20, 2019) BTN — It's been seven years since the universal motorcycle helmet law was repealed in Michigan and the debate between whether riders should wear a helmet or have the choice to wear a helmet is still going strong. Channel 6 News got the chance to go to the Forbidden Wheels Motorcycle Clubhouse in Brighton. 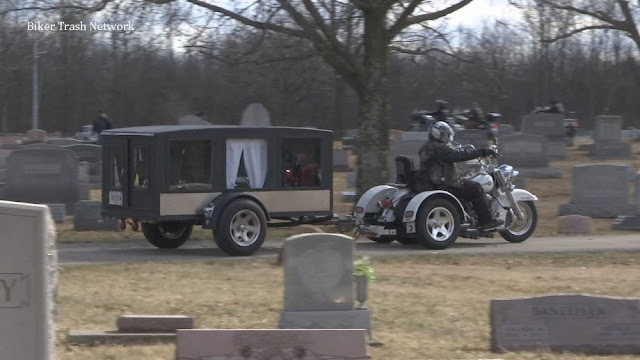 One member named Jerry Jaskloski, also known as 'Jitterbug' has been riding since he was 16 years old and rode for only three years with no helmet law. "Just about turning nineteen the helmet law came on," said Jaskloski. For most of his years riding, the law was in place, until April of 2012, when the law was repealed and riders had the choice to wear or not wear a helmet. Jaskloski says he was used to wearing his helmet when the law changed but over time, he slowly stopped wearing it. He added that when it hails, rains, etc., is usually the only time when he wears it. Another rider, Russell Cockerham, says whether it's rain or shine, it's his decision to wear it or not wear it. "I was happy it got passed, not because I'm going to stop wearing my helmet, I'm happy I got my choice," said Cockerham. According to study done by the Center for Management of Information for Safe and Sustainable Transportation, the percentage of riders who were wearing a helmet while involved in an accident dropped from 97.7 percent in 2011, to 68.8 percent in 2017. It also showed the the number of motorcycle accidents isn't increasing, but the number of fatal motorcycle accidents are. The study also compared the number of accidents before and after the law was modified and how many of those were fatal. Channel 6 News took the topic to our WLNS Facebook page where we asked people to vote whether they think riders should always wear a helmet or it should be the riders choice. After the poll was closed, 66 percent of people voted that motorcyclists should always wear a helmet and 34 percent voted that it should be the motorcyclists choice. 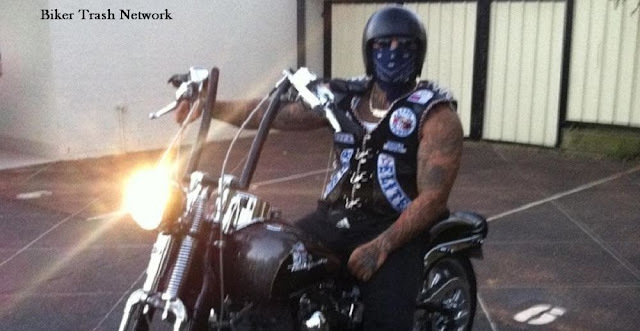 Sydney, Australia (April 20, 2019) BTN — The cops are seeking a court order that will ban Rebels Motorcycle Club National President Damian "Big D" Vella from associating with his mates for two years, by using the state’s tough anti-bikie laws. The NSW Police have applied to the NSW Supreme Court for an order under 2016 laws that aim to make life so hard for bikies that they give up being bikies. If the cops are successful, Big D won’t be able to approach any member, former member, associate, hang around, nominee or prospect of an Motorcycle Club. He also won’t be allowed to travel in “any vehicle” between the hours of 9 pm and 6 am except “in the case of a genuine medical emergency”. The police also want him banned from any location vaguely connected to any motorcycle club, and the police want him banned from using any encrypted communication device, including apps like Whatsapp, or even owning more than one phone. Vella became the Rebels national president after his uncle, Alex Vella, was stranded in Malta when Australian authorities cancelled his visa. The case will return to court on August 1. 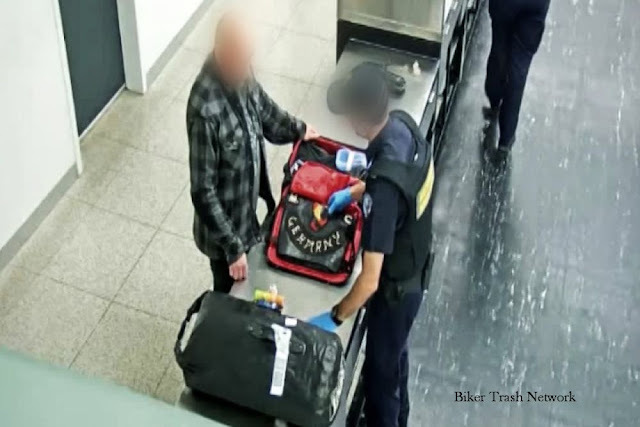 Perth, Australia (April 20, 2019) BTN — Five international motorcycle club members including three Gypsy Jokers and two associates of the club have been banned from entering the country after being stopped at Perth Airport. The men all arrived in Perth in the past week to attend an event being held on Saturday night to celebrate the 50th anniversary of the motorcycle club. But the Australian Border Force (ABF) said they were all stopped and questioned before having their visas cancelled because "they presented a risk to the health, safety or good order of the Australian community, or a segment of the community". The men included two Germans, aged 33 and 61, a 34-year-old Norwegian and two Spaniards aged 43 and 44. The ABF said the German pair, both members of the Gypsy Jokers, arrived in Perth on a flight from Hong Kong on Monday night. The Spanish men, both club associates, also arrived on Monday on a flight from Dubai. The Norwegian member of the Gypsy Jokers arrived on a flight from Singapore on Wednesday. The ABF said the men were held at the Perth immigration detention centre before being sent home. ABF regional commander for WA Rod O'Donnell said they were focussed on disrupting the activities of outlaw motorcycle gangs. "These gangs pose a significant threat to our community and are known to be involved in serious criminal activity including drug trafficking and violent crime," he said. "Any non-citizen involved with a criminal organisation, including outlaw motorcycle gangs, can expect to have their Australian visa cancelled on arrival and be removed from the country." 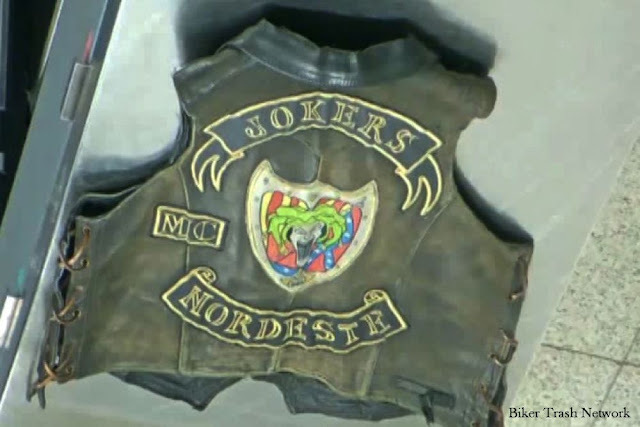 The event to celebrate the 50th anniversary of the Gypsy Jokers, at the motorcycle club's Maddington clubhouse in Perth's south-eastern suburbs, is expected to be watched closely by police. Tampa, Florida (April 19, 2019) BTN — Sunday night, a car turned into the path of motorcyclist Mike Tapp on Dale Mabry Highway. To avoid a collision, the biker braked hard and lost control, throwing him and his passenger to the pavement. The biker died and the passenger, his longtime girlfriend, was seriously injured. The driver of the car didn't stop and the Florida Highway Patrol is looking for the person who was behind the wheel. It's the kind of crash that would have angered Mike Tapp and spurred him to action. A friend of the couple, Andrew Mora, is now offering a $2,000 reward for information leading to the identification of the driver. If Tapp were around, his friends say, he would light up Facebook with the reward offer, determined to do his part for members of his biker family. But the 49-year-old Tampa father was the motorcyclist killed in the crash, and his longtime partner, 46-year-old Kymberle Meade, is still in the hospital. "He really was a pillar," said Mora, owner of Moramoto, the motorcycle dealership where Tapp bought the 2016 Harley-Davidson Street Glide he was riding Sunday. "If someone were in need, he would be the first to help." Known as Boston Mike for his native city, Tapp had lived in Florida for many years. He and Meade had been together nearly three decades and had children together. Tapp was a proud member of the American Outlaw Association, one of the biggest motorcycle clubs in the country, his friends said. Law enforcement considers the Outlaws a criminal gang, but Tapp was far from a menace to society, Mora said. For Tapp, the club was about camaraderie centered on a shared passion for riding. When a friend needed a hand, Tapp would help spread the word, taking to Facebook and banging out public posts in all capital letters. Most days, he'd wake up early and send friends messages with irreverent memes and the latest news in the biker scene. "He was the one of the funniest, most humble guys I've ever met," Mora said. Tapp had worked a variety of jobs over the years, from fueling planes at a local airport to manning phones at corporate call centers, said friend Morley Henry, 35. Tapp and Meade often hosted cookouts where Tapp served up his signature chicken marsala. "He was that personality who walks into a room and everything lights up," said Henry, a motorcycle technician at Moramoto. "It didn't matter was mood you were in, put a smile on your face. He went out of his way to make everybody happy." 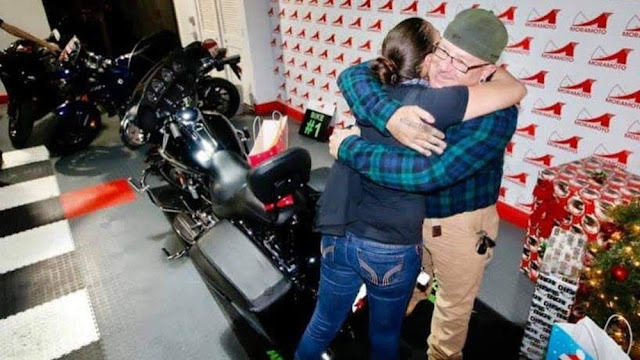 In December, Tapp traded in his old Street Glide with 90,000 miles on the odometer and bought a 2016 model, Mora said. Within a couple of months, he put about 10,000 miles on that bike. On the night of the crash, Tapp and Meade were riding north on Dale Mabry when the driver of a small, light-colored sedan heading south turned across their path to head east on West Idlewild Avenue, just north of Bill Currie Ford, according to the Florida Highway Patrol. Troopers released footage of the crash caught by a surveillance camera at the Volvo dealership across Dale Mabry, but the camera is too far way to determine the make and model of the car. "You can see clearly the action of that car caused the crash even though they didn't collide," said Sgt. Steve Gaskins, a spokesman for the Highway Patrol. It's unclear what, if anything, the driver would be charged with if identified, however. Troopers would have to confer with the Hillsborough State Attorney's Office, Gaskins said. Mora said the driver should come forward. Otherwise, he's hoping his reward will provide an incentive to someone who knows something. "We'll never have closure," Mora said, "so the only thing we can possibly have is justice."